So this past week, while shopping for cosplay related things for that upcoming Comic Convention in San Diego, I’ve also been planning various outfits to wear while not in costume. Honestly, sometimes thinking about that is almost more fun than the costume itself. Almost… Either way, I’ve definitely decided that I’ll be bringing some Black Milk with me (it packs so nicely), which is why I’ve chosen today’s outfit! 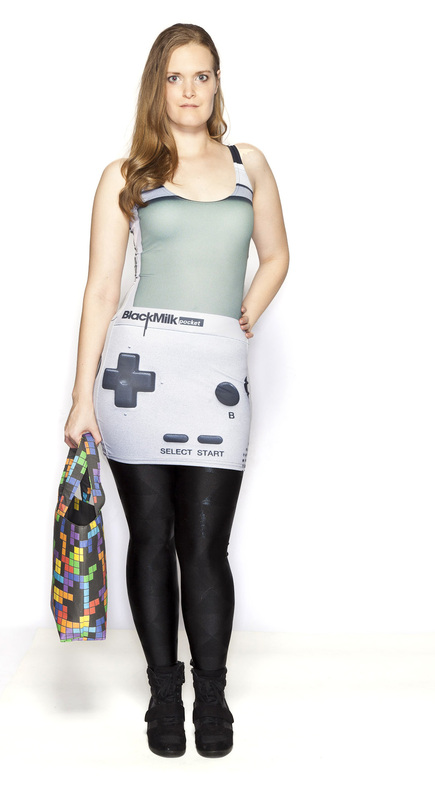 Featuring that fabulous Black Milk Clothing spandex and a great bag to put all your con swag in, here’s today’s classic gaming outfit. We’ve featured this dress before, and in various colors, and I couldn’t pass it up when it became available. I love that this particular version features neutral colors so it’s really easy to accessorize. While I love the colored versions, there’s something about the classic look that speaks to my retro heart. Playing off the black from the buttons on the dress, I knew I wanted to have some basic leggings for this look. However, these leggings feature a fun secret. They’re covered with black triangles which coincidentally looks like a certain triangle configuration that you might be familiar with. These are the same shoes that I wore in this Stunning Style. I love how comfortable they are, while still being workable for going out at night. The bag is by far my favorite part of the outfit. 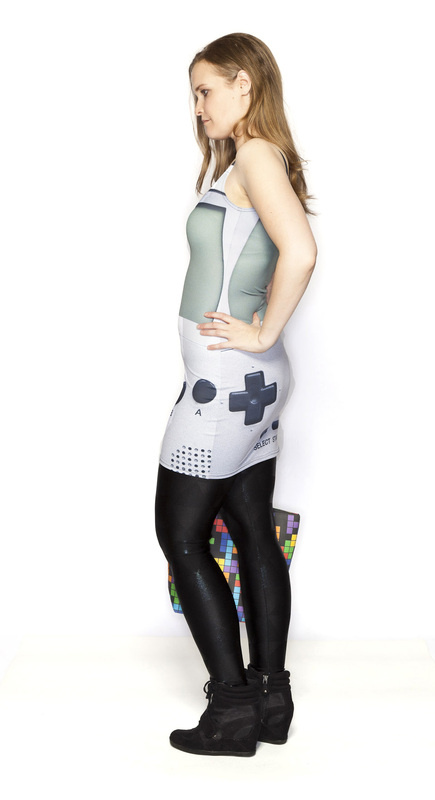 Since I did play Tetris the most on my Game Boy, I knew it would be a perfect compliment to the outfit. This was the bag I got to take home after the photoshoot I did with The Bag Depot. 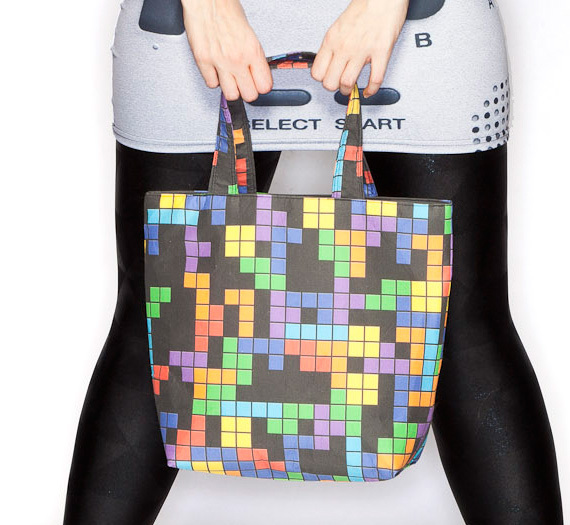 This bag in particular was made with custom printed fabric, and is so well constructed. I’ll definitely be bringing it around with me as I scour the con floor for geeky items. 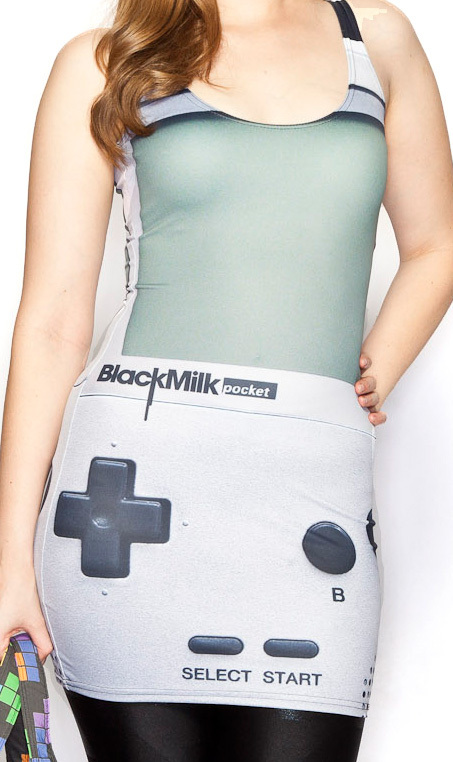 Black Milk has also hinted at the fact that there may be more video game inspired items to come. Of course, we’ll let you know here once we find out! 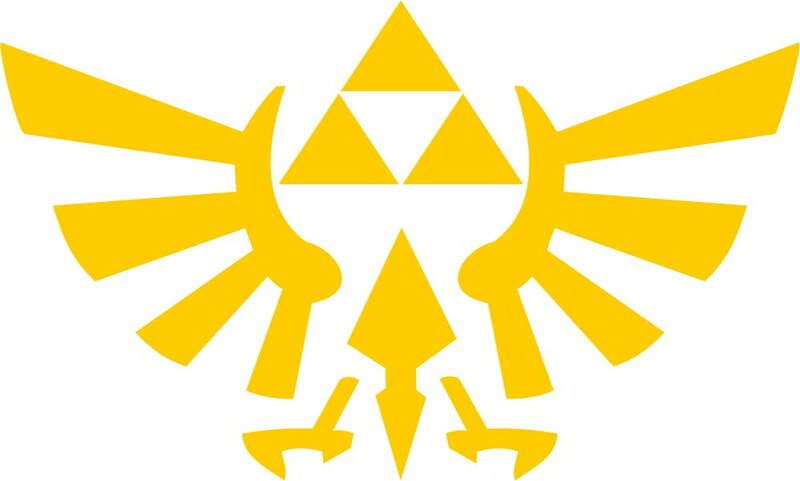 Are any of you planning on attending San Diego Comic Con and are planning your geeky inspired outfits? I’ll be on the lookout for you guys, and if you see either Scruffy or I, definitely say hi! 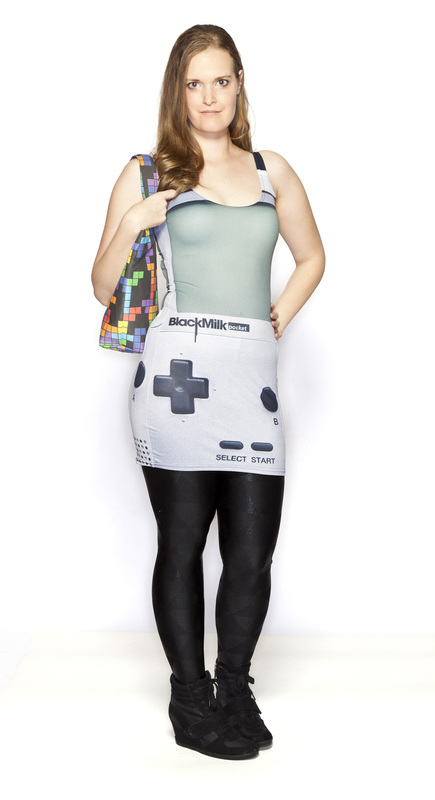 that purse is sooo perfect with the gameboy dress!!!! No matter how many years pass the gameboy will always bring happy memories from my childhood. Thanks for sharing.